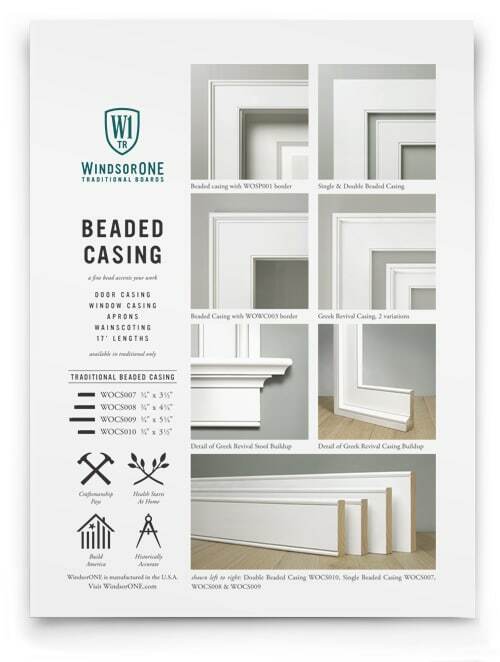 WindsorONE Traditional Beaded Casing profiles are a perfect way to highlight your work. The fine bead accents the lines of your trim projects. 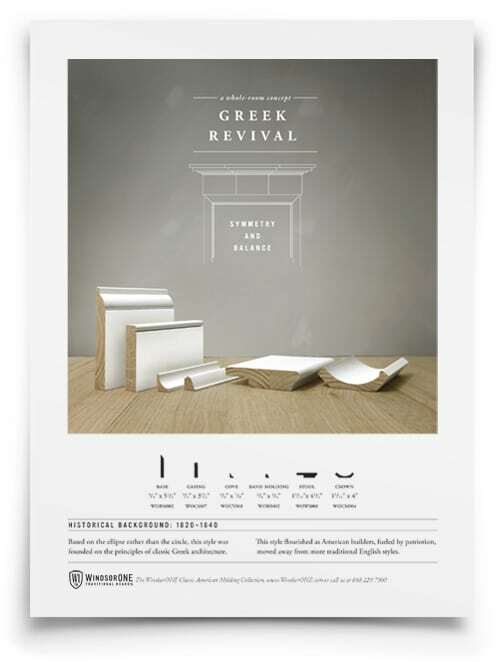 Mix and match with profiles from the Classic American Molding Collection. Beaded casing is also a highlight of the Greek Revival style. BELOW ARE TRADITIONAL BOARDS, BEADED CASING IS NOT AVAILABLE IN PROTECTED. 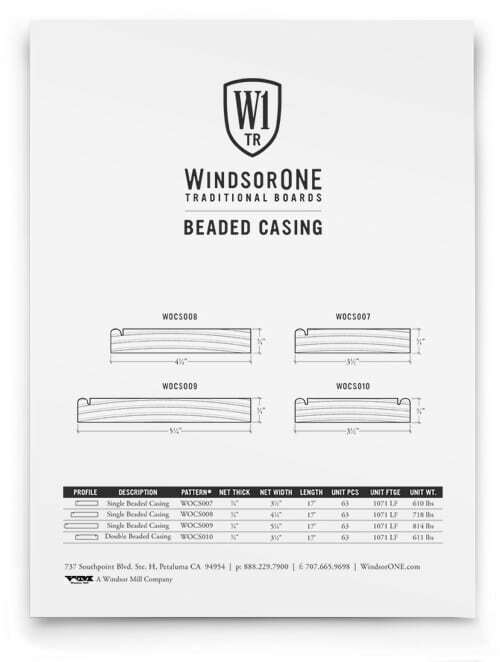 WOCS009 3/4" x 5 1/4"
Detailed dimensioned drawings of Beaded Casing. A collection of ideas featuring Beaded Casing. A Classic American Molding Style that features Beaded Casing.